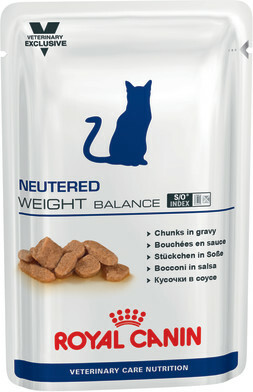 Neutered Weight Balance For cats from neutering to 7 years of age with a tendancy to gain weight. 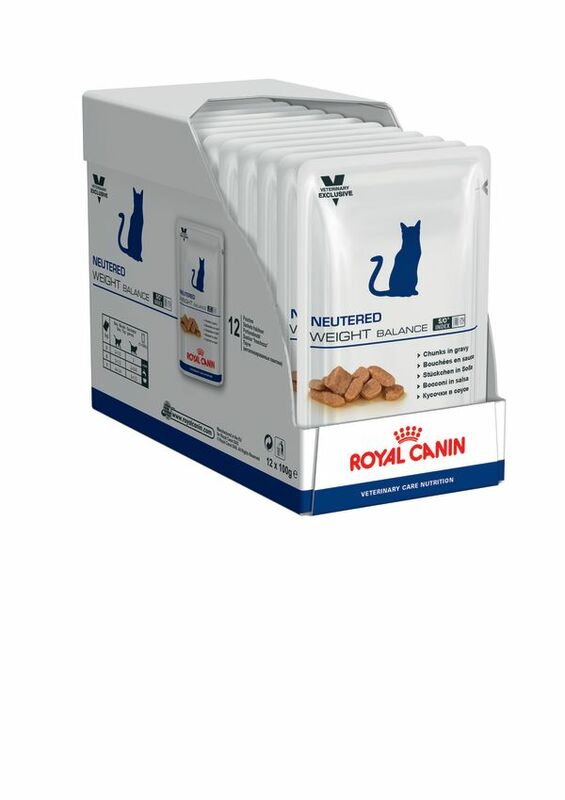 A reduced calorie content helps limit weight gain in neutered cat. The antioxidant complex (vitamin E, vitamin C, Taurine, lutein) helps neutralize free radicals. The S/O Index logo guarantees that this diet will promote a urinary environment unfavourable to development of both struvite and calcium oxalate crystal formation. 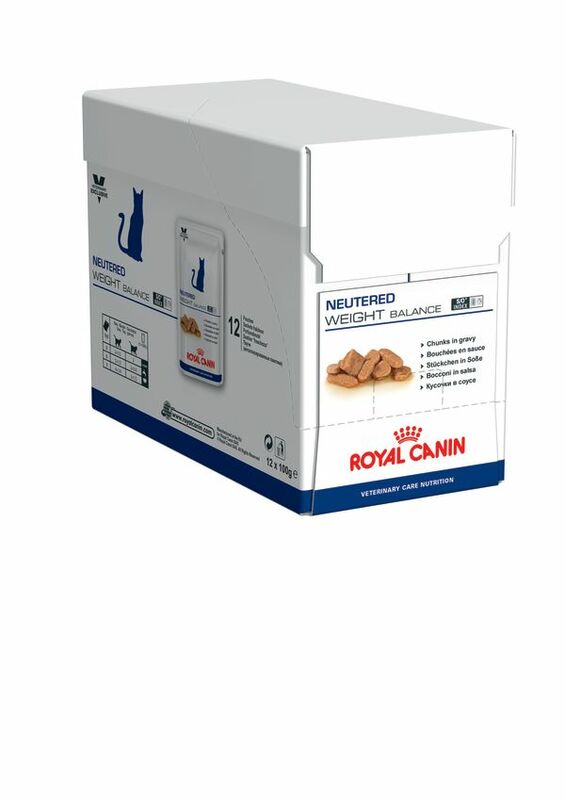 Pork and chicken meats, chicken liver, wheat flour, cellulose, minerals, wheat gluten, gelling agent, taurine, yeast hydrolysate (source of Mannan- Oligo-Saccharides), marigold meal (source of lutein), L-carnitine, vitamins. Crude ash: 0%. Crude fibre: 1.5%. Crude oil fats: 2.5%. Moisture: 0%. Protein: 9%.